Charles G. Allen, born in 1833, and raised in Barre, MA became an educator teaching in the school districts of Barre and surrounding towns. At the age of 26 he taught Latin, Greek and English grammar at the academy in Bernardston, MA. Charles then attended the Harvard Medical School and soon after began his practice in Barre. 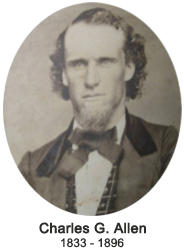 At the onset of the Civil War, Charles enlisted in Company F, 53rd Regiment – Massachusetts Volunteers. He served his term and then re-enlisted in the 34th Massachusetts Infantry as assistant surgeon. After the war, with his health compromised, he returned to Barre and bought a farm, never practicing medicine again. 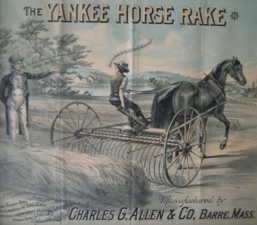 In 1873, in collaboration with Charles Lufkin, Mr. Allen developed the “Yankee” horse drawn hay rake. In April of 1874 he began manufacturing the first lot of 200 rakes and the Chas. G. Allen Co. had begun operation. A year later, Charles Lufkin sold his interest in the business to Mr. Allen. There now were another 500 rakes being manufactured with a selling price of $40 each. In addition, the company also manufactured two other farm implements. The “Victor” swivel plow and the “Little Giant” rock puller. After his passing in 1896, the eldest of his 8 children – Harding Allen – acquired the business. Harding soon became interested in the machine tools that helped him make his farm equipment. Harding sent his brother – Clarence Allen – to M.I.T. so that there would be a trained engineer in the family. In the summer of 1904 Harding asked Clarence to design a drilling machine which was better than what was available and the Allen drilling machine product line was born. The Allen drilling machines became well known in the industry, were considered second to none and were known to have as much as 75% of the domestic market when measured against the competition. 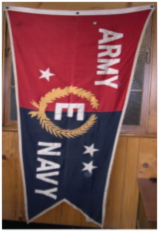 During World War II the company was awarded the Army / Navy “E” Award for manufacturing excellence in support of the war effort. At its peak, Allen shipped 112 drilling machines per week, and employed approximately 700 people. 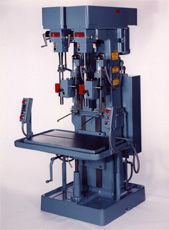 In addition to the standard drilling and tapping machines the company started to manufacture Custom Automated Systems in the 1950’s. These were multiple station high volume machines engineered for particular applications mainly for the automotive industry. These machines were in high demand until the introduction of CNC machines in the 1980’s. Through the end of the 20th century Allen survived the downturn in the machine tool industry by purchasing other machine tool lines which were also in their twilight years for the replacement parts and service of those machines. These lines are Norton surface grinding machines, Nichols milling machines, Cleereman drilling machines and Fitchburg Engineering milling machines. Allen also started a Subcontract Manufacturing service making other companies products for them. Some of these products were band saw blade welding machines, high speed robots, hot stamp presses, a light bulb frosting line, shredders for wastewater treatment plants and silicon ribbon furnaces for growing crystals in solar panels, to name a few. More recently Allen purchased the Harper finishing machine product line and is manufacturing today the complete line of Harper mass finishing equipment and custom buffing, brushing and polishing machines. In 2006 Allen added a new direction and now is a full pump repair and service business specifically for the power generation industry, servicing both fossil and nuclear facilities.